2 1/4'' x 85' White Thermal Paper Credit Card & Cash Register Tape - Pack of 10 Rolls by Body-N-Home at LDP Graphic Design. MPN: FBA_2.25THERM. Hurry! Limited time offer. Offer valid only while supplies last. Body-n-Home brand 2 ¼'' Thermal Cash Register Paper Roll Tape 85' fits a wide variety of registers. 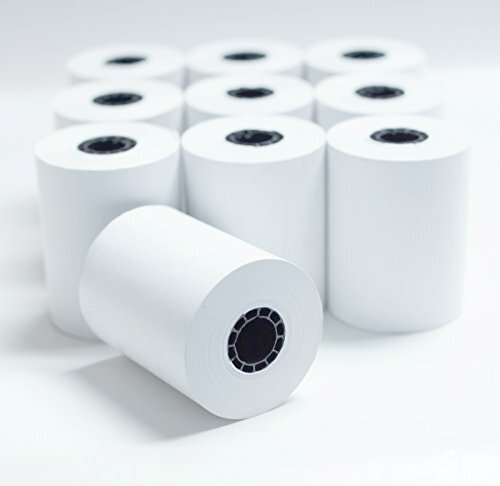 The thermal paper is 2 ¼'' wide and 85' long. If you have any questions about this product by Body-N-Home, contact us by completing and submitting the form below. If you are looking for a specif part number, please include it with your message.